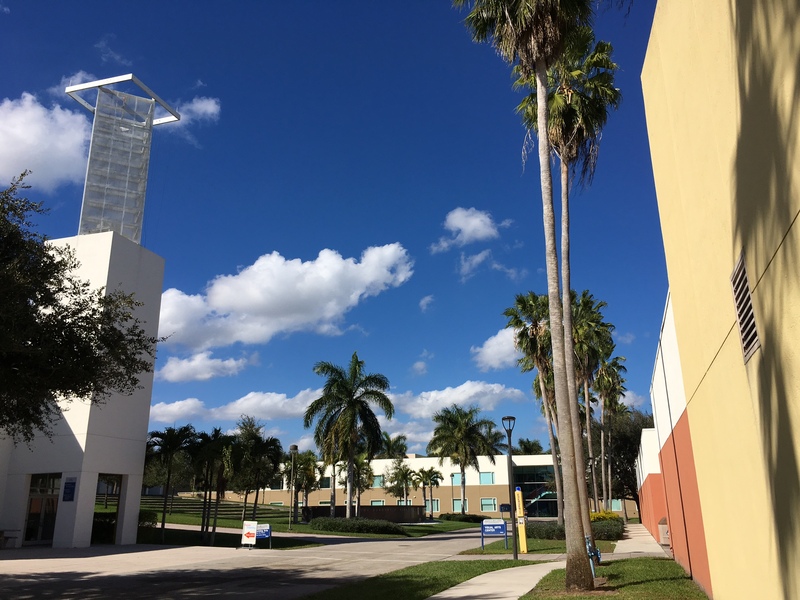 The Department of Visual Arts and Art History, an integral component of the School of the Arts at Florida Atlantic University, provides students with a forum that actively engages and expands their creative and scholarly abilities within the context of a disciplinary and interdisciplinary setting. The program is devoted to offering a diverse curriculum dedicated to educating artists and art historians. There are more than 800 majors currently enrolled, making it one of the largest art programs in the state of Florida. It attracts both national and international students, who study alongside more than 20 full–time faculty and active artists, whose areas of expertise include Art History, Painting, Drawing, Sculpture, Photography, Ceramics, Printmaking, Digital Imaging and Graphic Design. The Department offers a Bachelor of Fine Arts with a major in Studio Art or Graphic Design, Bachelor of Art in Studio Arts, a Bachelor of Art degree in Art History, a Bachelor of Art degree with teacher certification, and a Master of Fine Arts degree in Visual Arts (Painting, Ceramics) or Graphic Design. The University Galleries collaborates closely with the School of the Arts and the Department of Visual Arts and Art History to serve the community of students, faculty and staff at FAU and public audiences throughout South Florida by presenting a wide range of local, national and international artists’ exhibitions and exhibition–related public programs. The Department of Visual Arts and Art History is dedicated to the advancement, practice and theoretical understanding of the Visual Arts. A central mission of the department is to enable students to understand art in the context of its rich historical heritage, incorporating the continuing changes, innovations and accomplishments made by creative artists and art historians. The Department seeks to prepare both undergraduate and graduate students for professional careers in the creation and interpretation of the Visual Arts. Deeply related to this focus is a commitment to elevate and sustain the study of the arts as both a necessary mode of understanding and a dynamic expression of human experience as it relates to an increasingly complex global society. To accomplish this goal, students must develop technical skills related to a variety of artistic media, as well as a comprehension of the creative impulse and the spirit that motivates it. The faculty of the Department of Visual Arts and Art History, through their own significant research and creative activities, fosters the preservation of artistic legacies with an interest in originality and innovation within artistic and research practice. These educational goals are enhanced by visiting lecturers, workshops, internships, conferences and exhibitions held at two University galleries, the Schmidt Center Gallery and the Ritter Gallery in Boca Raton and the Second Avenue Studio Gallery in Fort Lauderdale.